McCloud #32 sitting at the McCloud depot. Photo from the George Landrock collection. The #32 powering a passenger excursion at Bartle. Al Heath photo, used with permission. 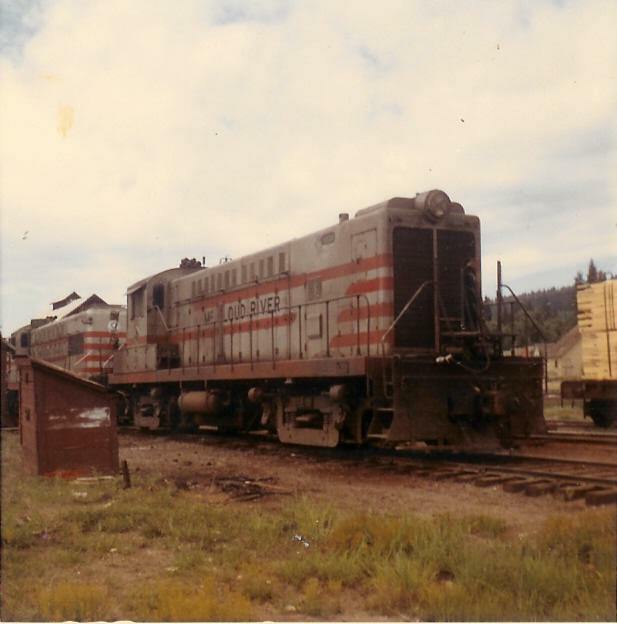 The #32 sitting in the dead line at McCloud after the arrival of the SD38's. Photo by and courtesy of Dennis Sullivan. 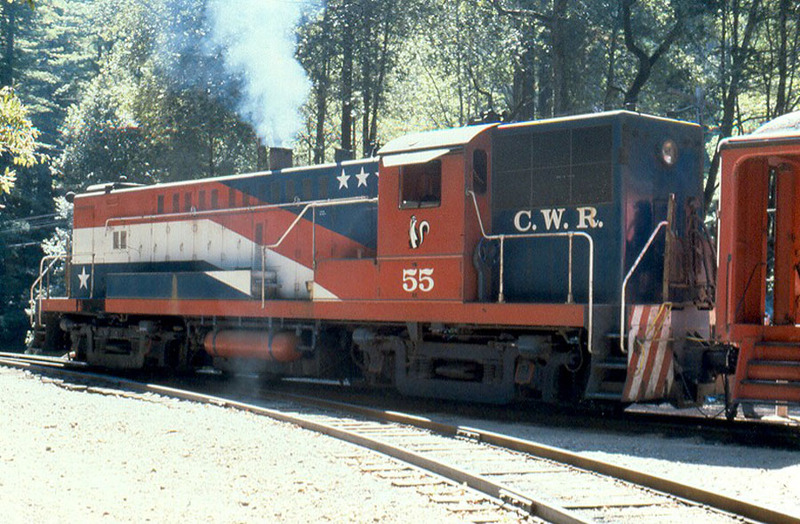 McCloud #32 as California Western Railroad #55, taken at Northspur, CA, in July 1980 by Jimmy Bryant (used with permission).